In the 1700s, famine in Europe occurred regularly—crops failed and invading armies often stole or burned food. 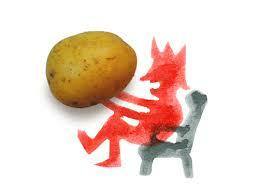 Frederick the Great of Prussia saw in the potato a solution. Highly filling and weather resistant, it was also a difficult crop to steal or destroy. But Prussians wouldn’t have it. Potato eating was considered strange, disgusting behavior. As King, Frederick could have issued orders and threatened penalties. Instead, he placed soldiers around the potato fields and instructed them not to be very vigilant. People’s curiosity was piqued; their perception of the value of potatoes changed and so did their behavior. At least some of Prussia’s great success in the period can be attributed to Frederick’s understanding of human nature. Frederick the Great of Prussia used curiosity of people as a tool to drive behaviour change.